As a community band conductor, I found the wellness and teaching on/off the podium sessions most valuable. One of the most popular sessions was presented by Dr. John Lynch of the Sydney Conservatorium. John guided participants through warm up and free movement exercises for conductors. For those that are not familiar, free movement is a concept where you put on some music, close your eyes and move to the feel of (but not conduct) the music. While you may feel and look a bit silly doing this, it is a lot of fun. The concept encourages us to move beyond beat patterns and become more expressive conductors. Also popular was a keynote and breakout session by Dr. Anita Collins about music education and the brain. Statistically, students who play a musical instrument are likely to perform better academically compared to their peers who don’t. Anita advised that a documentary “Don’t stop the music” will air on the ABC in November and there will be a national education campaign to go with it. Two evening concerts were held in the Griffith University Queensland Conservatorium Theatre at Southbank. The first of these, was the Opening Gala Concert jointly presented by the Queensland Conservatorium’s Symphony Orchestra and Wind Orchestra under the direction of Dr Peter Morris. The second and final evening concert was presented by Queensland Wind Orchestra (QWO) under the direction of David Law and Guest conductors Prof. Rob McWilliams and Rachel Howley. A highlight of this concert was Percussionist, Composer and Educator, Nathan Daughtrey performing as a soloist in his own composition Concerto for Vibraphone and Wind Ensemble. ANBOC was a great opportunity to catch up with former summer conducting school clinicians Peter Morris, John Lynch and Rob McWilliams, each of whom presented topics they were passionate about. (some of these were a timely refresher on previous concepts from summer conducting schools). Those who also attended ANBOC in Brisbane, I encourage you to share your experience with colleagues, in the hope they consider attending the next ANBOC. Finally, I would like to thank ABODA VIC for giving me the opportunity to attend this year’s ANBOC and congratulate ABODAQ on the success of the conference. Rob was awarded one of two scholarships provided by ABODA Victoria for members to attend ANBOC 2018. It is always exciting to be surrounded by experts who are fully impassioned and engaged in doing what they do best…. sharing years of their own experience and knowledge, hard earned from hours spent in front of young musicians both on and off the podium. The ANBOC Conference held in Brisbane from October 4 – 7, 2018 was overflowing with seasoned music professionals; conductors, university professors, composers, directors, researchers and teachers from all walks of life and all corners of our planet, all with expertise and wisdom adding up to beyond what one might ever hope to find in one location over four days. Held alongside the SHEP Orchestra and Band program (ensembles whose performances and rehearsals we were able to experience during the conference days), the ANBOC Conference presenters covered topics across three broad themes: “Teaching” (On and Off the Podium), “Navigating the Middle Years” and “Wellness”. Over the course of four days, there were choices of over thirty sessions to attend (each of an hour’s length) each day running throughout four different venues within the State Library of Queensland with over fifty music specialists who were often presenting “between” rehearsals with the State Honours Ensembles. Not even once during the four days of the conference was there a question of whether to attend each session that was being offered, but rather making the difficult decision of which of the sessions to attend given that the options were so varied, interesting and relevant to our current musical climate. For myself (predominantly as a string player and educator) I found the smorgasbord of string offerings to be stimulating, useful and motivating. I was profoundly touched and inspired in particular, by the musical and humanitarian generosity of Richard Meyer in his “Giving Bach” session. He demonstrated his experience in the context of giving back to his community through involving his students in reaching out to others less fortunate than themselves in their performances to blind students, youth of less privileged socio-economic background, and Down Syndrome children. Richard is a man of enormous humanity and has empowered both his audiences and students alike with the incredible work he has done in his program. Just being able to see him in action and to watch footage of his work was life-changing. Reflecting on “Programming in the 21st Century”, Cynthia Johnston Turner encouraged us to think outside the box about our audience and the perception of performance in future. Another personal highlight for me was Paula A. Crider’s presentation of her approach to Three Levels of Performance: Technical, Intellectual and Emotional in her session “Beyond the Notes”. No matter how much professional development one is privileged to have, it is always immeasurably valuable to have the opportunity to be able to catch up with ex-students, colleagues from previous employment, knowledgeable experts, amazing conductors and directors and see trade displays with the latest resources. Most importantly it’s vital to be engaged with like minded musicians and educators for a period of intense absorption of knowledge, inspiration, motivation and sometimes just pure affirmation that your program, your philosophy, your box of educational tricks or your ensemble is firing on all cylinders. I am most grateful to have had the opportunity to be part of this very well designed and organised event. Bronwyn Oswell won one of two ABODA Victoria Scholarships to attend ANBOC 2018 in Brisbane. She is a busy string educator and pedagogue working in metropolitan Melbourne. With her outstanding manner with players, high expectations, ability to deliver concepts concisely and insatiable passion for the music, it is little wonder that conductor Carolyn Watson is making waves in the American system, winning the 2015 American Prize for Conducting. In 2019 Carolyn will lead the ABODA Vic Summer Conducting School. We sat down to chat about her career, and advice on conducting training, repertoire selection and conducting bands vs. strings. Looking back through your career a little you started out as a violinist and worked with the Australian Youth Orchestra, what happened after this? I did music education for my undergraduate, with a double major in Music Education and Violin Performance in Sydney. I played for a year professionally in the pit for Phantom of the Opera and Miss Saigon in Sydney before I moved overseas. Then I was in Hungary for two years at the Kodaly Institute before I went to Germany and completed more violin study and played with some orchestras there. I taught for a term at Sydney Church of Grammar School where I have just done the Vivaldi Gloria and then at Sydney Grammar School for nine years after this. When did you start studying conducting? About five years into the job working at Sydney Grammar. I wanted to learn a little bit more about conducting and what to do with my hands. I thought I would just do a Masters in Conducting with no intention of doing anything other than that, and then one thing led to another and here we are. I’m always interested to know what you feel are the most important things for a beginning conductor to start with. Anybody can be a conductor if they are a good musician, it is easy to turn a good musician into a good conductor, but it is difficult to turn a conductor into a musician. The depth and scope of your musical training and knowledge is really where it is at, and the rest you can learn. Maybe also conducting technique doesn’t matter as much as we think it matters… that has been my experience, anyway. As an experienced conductor, what do you see the differences being between high school orchestras and somewhere like Interlochen or what you are expecting at Texas State? Obviously the context dictates how far you as a conductor can go. You may have the most wonderful gestures that reflect every nuance in the score, however, if you are in front of a Year 7 band, that may not be necessarily the most important thing. That aspect of being practical, and being able to help the players with practical matters and logistical things, what I call ‘geographical things’ like “This is where we stop.” “This is where we go.” “This is where you need to watch, this is what you need to watch, and this is why you need to watch.” Obviously the more advanced the players are the more subtleties they are going to pick up on in your conducting. It is the age old concept of being what the players need us to be. There is often debate about Strings versus Band conducting and some say that music is music but perhaps there are nuances between the two. How they produce sound is different if nothing else. Do you have thoughts on this and are there differences? Perhaps there are differences within the sections of an orchestra? There are some differences. Working with young orchestras, I find I have to work much more closely with the strings and offer more many more directions and much more advice than with the wind and the brass generally. I think there are a number of reasons for that, obviously the person that gets to be first chair oboe or second chair clarinet in a youth orchestra or even in a high school symphony, they have reached a certain level and are by definition a soloist, given that nobody else is playing the first oboe part or the second clarinet part. That’s a very different thing for a second violin section that might have 15 people in it. And each one of those 15 who would die on the spot if they thought that they had to play their part by themselves! There’s that sort of thinking shift – there is a big difference there. I’ve found also I have to give a lot more information and directives to the strings because I think to get young musicians on string instruments to sound good, there is a lot more involved, and it’s a longer process comparatively than with wind and brass instruments. I think we as conductors certainly working with high schools have to remember this and factor it into our approach and our pedagogy. As far as conducting and ensemble direction goes, would you mind please sharing some of your most valuable pieces of wisdom? Choose appropriate repertoire. That is probably my first one. I have done a lot of listening to young musicians and adjudicating at competitions with young bands and orchestras. I often hear young musicians working and playing very hard, and doing their best with music that is beyond them at this particular point in time, at this particular stage of their development. I think it is a wonderful thing to set the bar high and to push them, and to challenge them to be the best they can be, and even better. But also at the same time this kind of approach has to be balanced with positive performance experiences and it’s about them going out onto stage with absolute confidence, that they can play together very, very well as an ensemble, and walk off feeling very proud that they have done a good job. I’ve heard the 80/20 “rule” referred to before where 80% of the repertoire should be technically comfortable and 20% might be challenging. What are your thoughts on this? I probably have a different philosophy to that because I tend to set the bar high and just a little bit beyond what the students think they are capable of. When you say to them we are playing this piece and they go “oh no!”. Then you say “no I programmed it because I think you are good enough”. Straight away if it’s a piece they know and a composer they know or something that they have been dying to play, that gives them a lot of confidence. So you are instilling a lot of trust in their ability and as all of us that play an instrument know, when somebody believes in us you can achieve more that what you think is actually possible. I guess that is also about making the musician accountable for their part and setting them up to understand that they are the ones in charge of the results. Absolutely, and it’s a team, it’s exactly the same as a sporting team and with someone sitting 5th chair, inside 2nd desk, 3rd viola part, they might not feel like they are fundamental to the ensemble, but I think it is our job as directors to get the point across that they are fundamental to the ensemble. Nobody else is playing that particular part and if they don’t play it then nobody else is going to play it. Like sport, for them to do well and do their best, everybody has got to go to training and just because you might not be picked to play that week, that doesn’t mean that you don’t go to training… it actually means that you train harder. In your experience as an adjudicator, other than poor repertoire choices, what are some of common mistakes you see and hear? For ensembles, stage presence is something. You can often tell how well trained a group is simply by the way they enter and exit the stage and the means by which they go about getting themselves ready to play. There is a level of professionalism that comes with performing, and performing happens from the minute you walk onto the stage. How you look, how you walk out on stage, uniform, dress attire, a school uniform, a performance uniform, coordinated clothing, deliberately unco-ordinated clothing, it is all part of the performance experience. From a conducting standpoint, having a conductor that is in touch with what the ensemble is doing is an important factor. Often I look and observe that the ensemble is doing one thing and the conductor is doing another, and they’re not necessarily corresponding. The place of conducting literature – are there any conducting texts you found particularly beneficial? At one stage I read every text that was out there, as I was writing my doctoral dissertation. But I think conducting is not something that can necessarily be taught by books. This opinion might be a difference between a kind of ‘American band-type approach’ and a more traditional operatic and orchestral focus, which is the realm in which my work lies. Of course textbooks are helpful for the basic information, but once you’ve got that there is a whole lot more. In terms of books or texts, the composer’s score is really where it is at. It is like choosing a favourite child, but who are your favourite composers? Whoever I am conducting, so at the moment it’s Bartok, Liszt and Kodaly. You mentioned that nothing is a substitute for the score and a mentor. Who have been your musical heroes? My number one music hero is Carlos Kleiber, every conductor’s musical hero I think! And Bernstein ranks up there very highly as well. If you could look across the world and see everything that is going on musically, and could pick your gig, what would you jump at? Oh wow! I’m not sure that I’ve got the answer to that question actually. Most conductors would say the Berlin Philharmonic or the Vienna Philharmonic, but I am fairly adamant that’s not a job that I would embrace with open arms as it were. Often life chooses and has a way of putting people where they should be and you know yourself where you are at, and where you can be. With conducting it can be a big game of chance, and some people are fortunate to be in the right place at the right time and get opportunities and make the most of them, and their career goes from there. It is difficult to know if somebody else got a similar opportunity, whether that might have happened to them and whether their career would have developed similarly. As to my ideal gig, I guess I have to say it is the one I am about to start. I chose it didn’t I….! As music educators, music advocacy is important and there are a few different approaches to this. What do you lead with when telling people about the joy that is music? I don’t know that I have had to do too much of that in itself as I have been very fortunate in the places that I have worked as students have come to those places specifically for music and for orchestra. There are tests that say “yes if they do music that will do better in maths and science” which is all very well and good, but I don’t know if that is why we should be selling music. I don’t think scientists are selling science as it makes better mathematicians. The media seems have a lot of stuff written about that, that’s a great thing. However, music is of intrinsic value as of itself and that’s really what we’re about and hopefully that message can get out. Growing up was there a piece that sparked your love of music or took your love to the next level? “Go tell Aunt Rhody” from Suzuki Book 1. 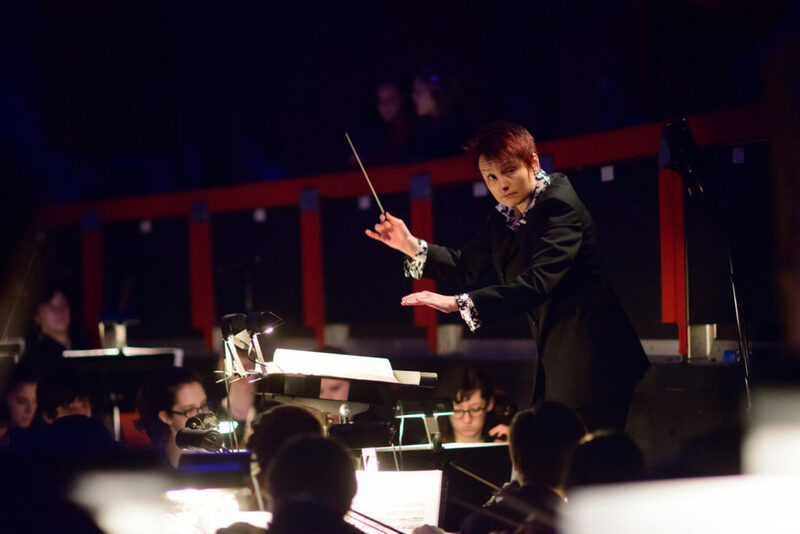 Want to work with Carolyn to improve your conducting? Register for the 2019 ABODA Vic Summer Conducing School now! However, it has also been countered that the true definition of conducting is in reality a listening activity, from which the physical act of conducting derives its true inspiration. (Looking like the music, through your inner ear) In fact, informed, active, engaged listening should be considered a major factor in achieving successful, effective and musically satisfying proficiency as a conductor. The importance of focused, informed, and attentive listening is essential in at least two different ways: One, the act of hearing the score and its potential interpretation, while the music still remains on the page; and two, the ability to hear the score while it is literally coming off the page. It is these two considerations, which I would like to examine in this article. The first listening consideration has been addressed many times, and from many different angles. Most would agree that it is important that one endeavours to aim towards training themselves in effectively hearing the score, as yet unsounded on the page. But, achieving this skill often leaves one frustrated, especially if the conductor’s piano skills are of a limited nature. A helpful analogy here is to remember that hearing a score in silence is much like using the skill of reading books silently to oneself. How did we, as children move from reading aloud to the internalising of our reading skills? The explanation is not difficult. Obtaining effective reading and comprehension expertise in music reading requires the same mindful, or comparative repetition of basic reading comprehension skills, such as the mastery achieved through the application of vocabulary acquisition, spelling, pronunciation, and grammar usage. Effective reading also requires consistent exposure to reading, including listening to someone read. It also includes aural modelling of pronunciations and the correction of definitions, and spelling errors. It is important to understand that none of these learning activities were fast-tracked. In fact, these activities required a careful, repetitive ‘time-on-task’ framework for achieving the mastery of silent reading over a period of time. Learning to read/hear music in silence requires a systematic immersion in basic ear training and aural recognition. These are essential skills that enable one to understand both the vertical and horizontal elements of music notation. For it is one’s technical proficiency in rhythmic notation reading gained through internal pulse, counting and subdivision, and the capacity to hear basic harmonic progressions, identify and sing intervallic relationships, chord qualities, , and melody lines, combined with the ability to identify phrase structures through note-grouping relationships. It is, after all these essential tools that enable one to silently read/hear the score as intended. Another important factor in obtaining effective silent score reading skills is to be found in strengthening one’s visual and aural skills through sight singing, as ell as the exercise of engaging in personal music performance experiences on their principal instrument. Inspirational musical leadership requires one to communicate the composer’s innate intension through understanding the emotional narrative and related connections with conviction, passion and confidence. This includes understanding the historical, cultural, emotional and stylistic context of the music, along with its attendant set of descriptive, expressive instructions. For instance, why is a particular passage marked ‘forte’, or why is another passage marked, ‘allargando’? To fully understand expressive directions one must also appreciate the musical context in which they appear. The music itself is always pleading with us to listen to how it wishes to be performed and these ‘directions’ are merely reminders of what the composer intended. I believe that it is imperative that physical gestures and body language be derived from deeply held convictions and understanding about the ‘character’ of the music, and how the notes and rhythms should be performed in view of communicating this ‘character’. It is difficult for conductors to expect their ensembles to respond meaningfully to their gestures if the conductor does not hold a personal commitment to an authentic interpretation, character and context. Conducting is certainly more than just knowing what is happening in the score, such as conveying a set of literal instructions; key signatures, tempi indications, meter, dynamic symbols, articulation markings, volume adjustment, fermata considerations, cues, etc. It is also about acquiring an informed opinion, and a conviction about the repertoire one is to rehearse/perform, while knowing how to effectively communicate their personal interpretation to their ensemble. A commitment to engage on a regular basis to listening and watching significant musical performances will go a long way in both feeding and inspiring our musical souls. 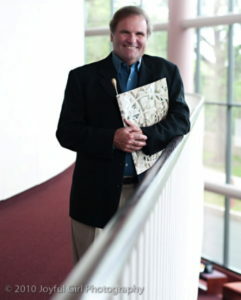 Monte Mumford holds an international reputation as a conductor, adjudicator and clinician, contributing regularly to the field of music education and performance studies through conference presentations, publications, professional development offerings, and master classes. 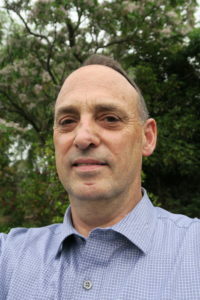 He is highly regarded for his musical experience, expertise, passion and effective teaching style. He is in demand as a guest conductor, music education consultant, and adjudicator, providing performance strategies and professional development for music educators, administrators and students alike. Every year that we teach and conduct we are challenged by the inevitable process of making decisions about the repertoire that we will share and explore with our students. The process is a daunting one because it challenges us to re-examine our values and our depth as music educators and musicians. Selecting repertoire is not about choosing pieces to play; selecting repertoire is about defining a curriculum and our beliefs about what music education should be for our students. Selecting repertoire is also about commitment, exposure, and risk: commitment, because the music that we rehearse and perform defines our values; exposure, because we share this repertoire with our students and eventually with an audience; and risk, because the music we select may not always resonate with what students, parents, and administrators believe to be the purpose of a band program in an academic setting. 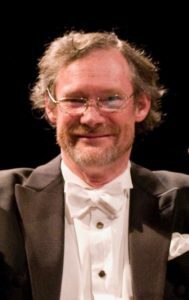 Nearly twenty years ago composer Warren Benson asked an important rhetorical question at an international conference of conductors and teachers. “What was it that brought us to music in the first place?” Warren’s answer has profound implications for our role as music educators. The process of teaching and exploring music is more important than producing concerts or participating in contests and festivals. The educational outcomes for our students must be emphasized over the residual entertainment value that is often a high priority of administrators and parents. The long-term value of music education in the lives of our students is more important than the short-term rewards. In addition, we have to diligently remind ourselves, and others, that the quality of our student’s music education is directly related to the quality of the curriculum they study and perform. Every decision that we make as teachers, musical and extra-musical, is a reflection of our values. In the case of repertoire selection, the critical balance of aesthetic criteria and personal taste defines that value system. While aesthetic criteria may be more easily agreed upon, the issue of personal taste is more illusive to define, yet, may represent the most important component of this delicate musical eco-system. The composition has form–not ‘a form’ but form–and reflects a proper balance between repetition and contrast. The composition reflects shape and design, and creates the impression of conscious choice and judicious arrangement on the part of the composer. The composition reflects craftsmanship in orchestration, demonstrating a proper balance between transparent and tutti scoring, and also between solo and group colors. The composition is sufficiently unpredictable to preclude an immediate grasp of its musical meaning. The composition is consistent in its quality throughout its length and in its various sections. The composition is consistent in its style, reflecting a complete grasp of technical details, clearly conceived ideas, and avoids lapses into trivial, futile, or unsuitable passages. The composition reflects ingenuity in its development, given the stylistic context in which it exists. The composition is genuine in idiom, and is not pretentious. The composition reflects a musical validity that transcends idiom, and is not pretentious. Good music, therefore, has form with a calculated balance of repetition and contrast that great composers manipulate to create and to break our musical expectations. Predictability is the death of great music and so is music with little variation in orchestration and timbre. Good music is music that can hold the attention of its listeners and can be remembered through the creative use of rhythm, counterpoint, harmonic color, harmonic motion, melodic interest, and unique textures. Good music is also music that can transport us to different emotional landscapes. Great music is music that makes us feel. Every piece of music considered for programming should be evaluated using these criteria as a general guide. Aesthetic criteria, however, have little meaning without the context of a distinct musical depth and a distinct musical intelligence that we, as musicians and artists, are required to bring to this process of decision-making. Are you in touch with the great musical monuments of our time and the past, from Claudio Monteverdi to Duke Ellington, John Harbison, Joan Tower, or Aaron Kernis? Do you attend live concerts of high quality by important ensembles and by important artists? Are you knowledgeable about music that does not directly affect your specific level of teaching but may directly affect your depth as a musician, from Johann Sebastian Bach to Libby Larsen, Henryk Gorecki, George Crumb, or Morton Lauridsen? Do you know as much about the most important musicians and composers of our time and the past as you know about the music for the ensembles that you conduct? Are you current with the repertoire written for your ensemble, knowing about the latest works from the pen of Michael Colgrass for middle school band, or the most recent publications from the BandQuest Series published by the American Composers Forum or the Windependence Series published by Boosey & Hawkes? Do you invest in the depth of your listening experience by continually expanding your collection of CDs and DVDs? Do you continue to make music an important part of your daily life? Every year 1000 new titles of band music enter the marketplace, yet the financial resources available to purchase music by educational institutions remains relatively static from year to year. Statistically, this means that at least five hundred works from publisher’s catalogues will disappear from the marketplace every year to make room for the next year’s release. Our choices in the market place have an enormous impact upon the quality of repertoire that remains available for purchase. The publishing industry is like any other business; it is market driven. Our decisions, not publisher’s decisions, ultimately determine what works will remain on the shelf and what works will fall to the wayside. As a profession we are consumed by what is new, often neglecting a body of historical repertoire of artistic merit that our students should explore. It is financially unfeasible for publishers to expand their new music inventory and to continue to publish those works considered to be standards in our repertoire unless there is a market for them. They will sell what we buy. At some point along the pathway of our teaching, or perhaps on a regular basis, each of us should ask a very personal question: “How many musical souls have been lost on our watch?” Was it because we placed too much emphasis on the product rather than the process? Was it because we placed too much emphasis on entertainment rather than education outcomes for our students? Was it because we placed too much emphasis on short-term rewards rather than the long-term value of nurturing within our students a life-long love affair with music and the creative process? Or was it because the music we selected represented a very narrow spectrum of human experience with insufficient musical depth and intellectual challenge to stimulate the creative impulses and the curious mind of an adolescent or an emerging adult? Selecting repertoire is much more than picking pieces for the next concert. Selecting repertoire is the most important thing that we do as music educators. We enjoy a very special freedom and a very special privilege because we are empowered as music educators to create a meaningful curriculum for our students. With that freedom and privilege comes an enormous responsibility. Charles E. Ives, Memos, ed. By John Kirkpatrick (New York: W.W. Norton & Co, 1972), p.191. Keynote address, WASBE conference, Boston, July, 1987. Warren Benson, “On Being Emotionally ‘Moved’ at a Band concert, Journal of the World Association for Symphonic Bands and Ensembles, Volume 5, 1998, p. 40. 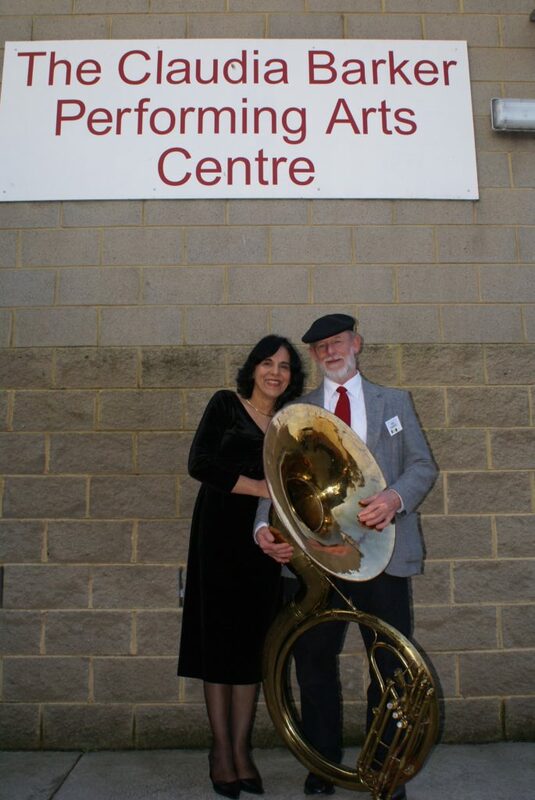 Music Educator Claudia Barker was recently awarded Life Membership to ABODA Victoria. Here, she shares her journey as a passionate music educator in rural Victoria. It was such a delight to be amongst the ABODA family of music educators at the 2017 AGM. The Life Membership was a highlight in a career that has spanned over 50 years. My passion for music stems from my family’s wartime experiences. In the 1930s my Italian father was living the idyllic life in Singapore, a small luxurious island that everyone thought was far enough away from the troubles in Europe. It was unthinkable that Singapore could ever be at war. In 1939 Hitler invaded Poland and England declared war on Germany. In Tatura the inmates realized the importance of organization and keeping everyone busy. They appointed their own leaders. They ensured that the children received an all round education and the adults were kept usefully engaged. Amongst the internees were some of the cream of Europe’s artistic society. Despite the primitive living conditions, the lack of freedom and the barbed wire they managed to establish a cultural and intellectual atmosphere which would have been hard to match elsewhere in Australia at the time. Many of the inmates produced lasting masterpieces and went on to make a significant contribution to Australia after the war: Karl Duldig, the Austrian sculptor, Felix Werder the German born composer who had made the horrific journey to Australia on the Dunera and the musical director of the Vienna Boys Choir, Dr Georg Gruber. My father played violin. At the end of the war my father decided to remain in Australia. He took us to a small fishing village and so began our childhood growing up in Mornington – growing up in paradise. My father insisted that I and my siblings receive a musical education. I attended Padua College in Tanti Avenue – a college by the sea. It has now been converted to apartments and people pay millions of dollars for the view that we took every day for granted. In the 50s in Mornington, very few young people learned a musical instrument and we often resented the time devoted to practising but our father gave us no option. I studied piano with the nuns and my sister learned the violin from Leila Steedman who had been the conductor of the Mornington Peninsula Orchestra. Dorcas McLean, a celebrated violinist was the wife of the local doctor, Andrew Taylor. Often in his waiting room in Barkley Street we kids would hear her practising. I was appointed to Kooweerup Secondary College in 1965 and for years was the only music teacher there. We now have a staff of 7 music teachers in the Claudia Barker Performing Arts Centre. Our marching band has attended the Melbourne ANZAC march since 1999. One year by chance we led the 39th Battalion which had defended Australia at Kokoda. The diggers reckoned they had never marched so well and decided that if they hailed us as their very own they would always have a band to march to on ANZAC day. Ever since we are known as the Band that leads the 39th Battalion and we always do – even in pouring rain. In 2012 our Assistant Principal, Peter Bottomley had received an email from Peter Bottomley, British Member of Parliament for Worthing West, UK. B2 (apologies to Bananas in Pajamas) had been contacting all the Peter Bottomleys in the world and had seen B1’s name in a newspaper article on the internet. B2 wrote a cordial email to B1 inviting him to the “House” if he were ever in London. Back in the band room I was facing problems. The band trip to London that I had organized had fallen through when the Travel Agency cancelled. Rather than disappoint my students I decided to plan my own tour. I could organize concerts in Paris and the Western Front but London was proving difficult as the tour would coincide with school holidays there. In desperation I reminded B1 of his London namesake and asked if he could contact B2. B2, who had received a knighthood in the meantime, replied immediately. The Band’s credentials were scrutinized and within days emails arrived from Sir B2 and the Dean of Westminster Abbey granting approval for a lunch-time concert. Now I needed something special to add to my repertoire. In France we would be going to Fromelles where the 1916 battle was the biggest military disaster of all time for Australia. Melbourne composer Barry McKimm accepted a commission to compose a piece of music that would capture the reality of what happened. His “South from Fromelles” was confronting and powerful. In Westminster Abbey when we finished playing many of the audience were weeping. To top it all off at the conclusion of the concert Sir B2 invited our entire contingent of 42 for a light luncheon at his beautiful London Apartment. Then to the Western Front! They stopped the traffic as we marched down the main street of Fromelles to the Pheasant Wood Cemetery. There, on behalf of the Australian families who have suffered generations of grief, we spent a silent moment. Our students, not much different in age from those who died, knelt in the drizzling rain and wiped the mud from the gravestones. And then we played Waltzing Matilda and the Last Post for all our soldiers who will lie there forever. Now in the autumn of my teaching career I can reflect on the strongest of friendships and the countless concerts. There have been 50 Music Festivals and 38 Musicals but best of all is the high calibre of the young music graduates who come to teach at Kooweerup. They are ensuring that our students are instilled with a passion for music that will stay with them for the rest of their lives. We asked participants from our 2017 ABODA Summer Conducting School shared their thoughts about how the school improved their conducting practice during the year that followed. What was an unexpected benefit of coming to the summer school? What was the most valuable thing you learnt at the summer school? “…the community I met at ABODA were so supportive, inclusive and encouraging, the people I met there were unlike any other classical music group I’ve ever encountered before. What is the one reason you would most recommend the summer school to a colleague?